It's a no brainer that Christmas is the most anticipated holiday of the year here in our country. We are very excited when our calendars hit the BER months. We are all busy thinking of Christmas parties, reunions and shopping for Christmas gifts. Behind all these things, have you paused for a while and said to yourself that "I've been good this year", "I've achieved the plans that I envisioned last year" and Thank you, Lord for all the blessings." We are all blessed, big or small a blessing is a blessing. It doesn't matter what kind of blessings we have received this year and in return of all these, how will you give flavorfully? This was the question during the launch of The Coffee Bean and Tea Leaf's Give Flavorfully event that made me think of all the things I have in life. I've realized that I'm truly blessed and there are people who despite all the hard work still lack something in their life. I can say I'm blessed because I have a family who value giving and caring for other people in need. That's why my mission this holiday season is to help someone in need flavorfully. During the launch, we we're asked to write something that we'll do flavorfully this holiday season. We wrote the things we want to do in the 'flavorfully' wall. It's nice to know that we all want to do something fulfilling in the spirit of the yuletide season. Christmas season started early with the launch of The Coffee Bean and Tea Leaf's 2015 Holiday offerings which include two special flavors that make the perfect companions for this season and these comes in two variations: an iced drink and a warm latte. Winter Dream Tea is another offering that you should not miss. This is a drink that will be a hit in your taste buds if you're a patron of rooibos and black tea. These beverage is truly what holiday dreams are made of as this is blended with sweet spices and hints of vanilla. 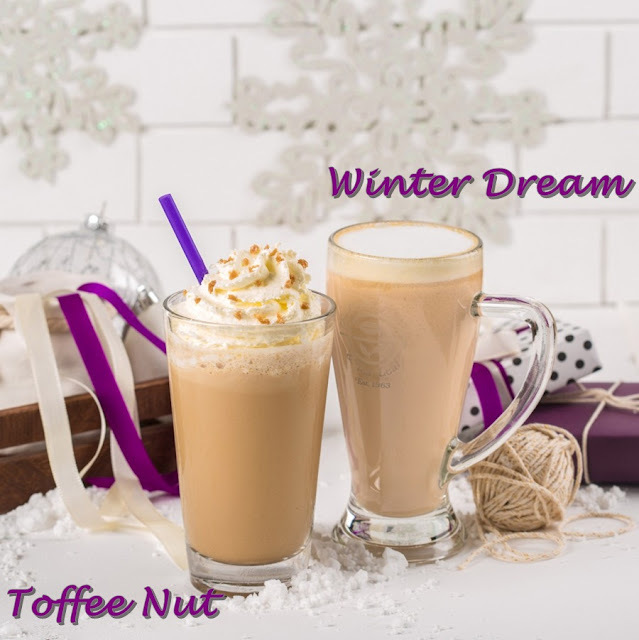 Aside from the two special drink offerings, The Coffee Bean and Tea Leaf® hopes to give flavorfully this season in ways that warm the soul as much as the body. As a way to encourage its community to brew their best years, The Coffee Bean and Tea Leaf® will also be releasing a new edition of The Giving Journal. It is a journal designed to inspire each individual to pursue their passions and find meaning and fulfillment in everyday moments, while at the same time providing them with the opportunities to give back by helping others. 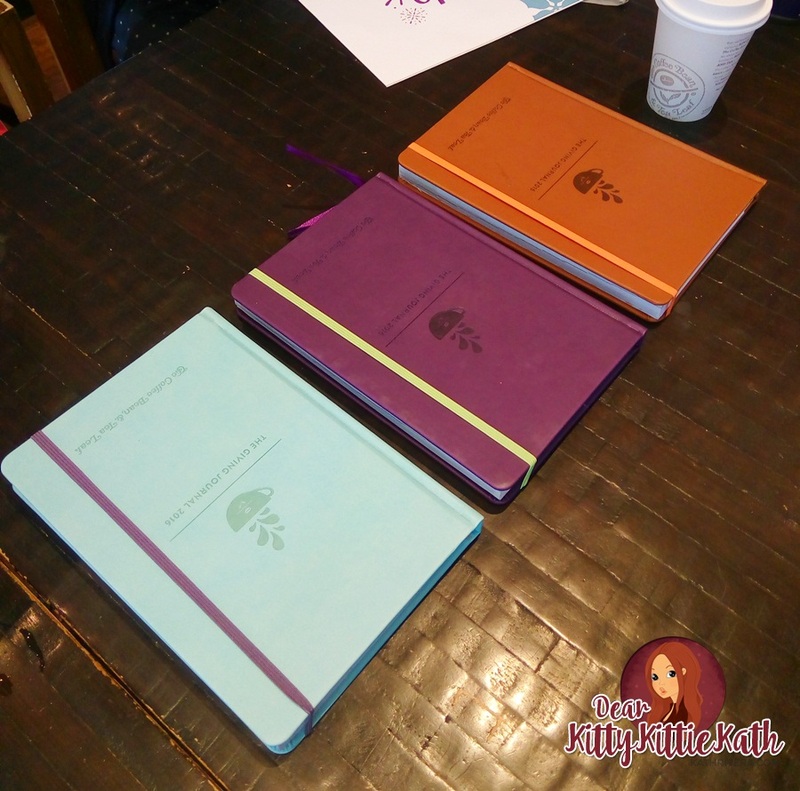 During the event, The Coffee Bean and Tea Leaf team showed us The Giving Journals in purple, tan and light blue colors. If you love writing simple things you do everyday, this journal is a must. It's simple yet full inspirations inside- it's a diary you can say your own. Plan your travels, jot down notes, score freebies because there are exciting coupons inside too! 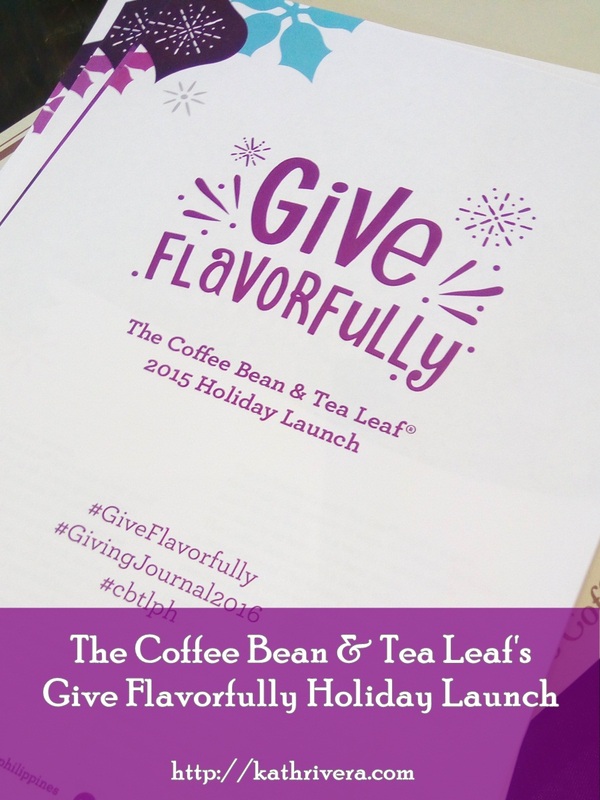 It is the tradition of The Coffee Bean and Tea Leaf® to give back to the community, and it has partnered with Real LIFE foundation, the Giving Journal’s beneficiary, to fulfill this tradition by supporting the educational needs of the less fortunate. To date, The Coffee Bean & Tea Leaf® has already sponsored 38 university scholars since 2011 – giving them the chance to fulfill their dreams, help their families, and improve their prospects for a brighter future. At present, the brand is proud to share that 13 of the sponsored scholars have already graduated. 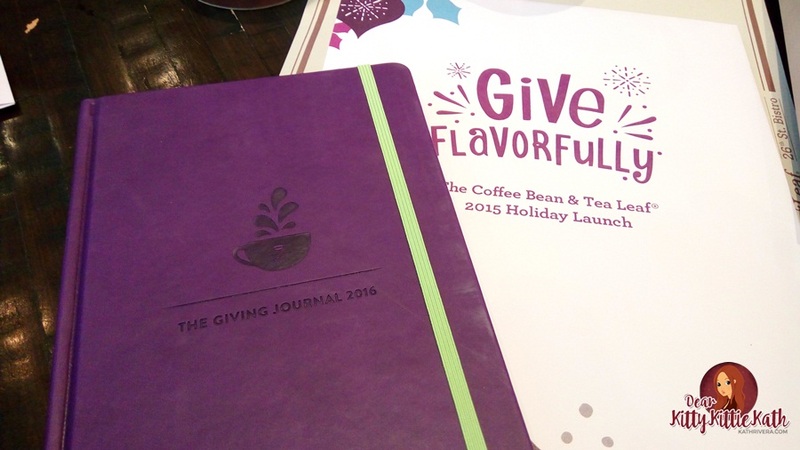 Evidently, The Giving Journal is certainly not your ordinary planner; it is a gift where the joy of giving and receiving it lasts well past the holiday season. It is also a journal where you'll give hope to the scholars in fulfilling their dreams. Share the gift of education to the chosen scholars by purchasing The Giving Journal 2016 and from this, you'll be able to give flavorfully to one individual. Thank you so much The Coffee Bean and Tea Leaf for having me and letting me share what I need to fulfill before the year ends and this coming holiday season.